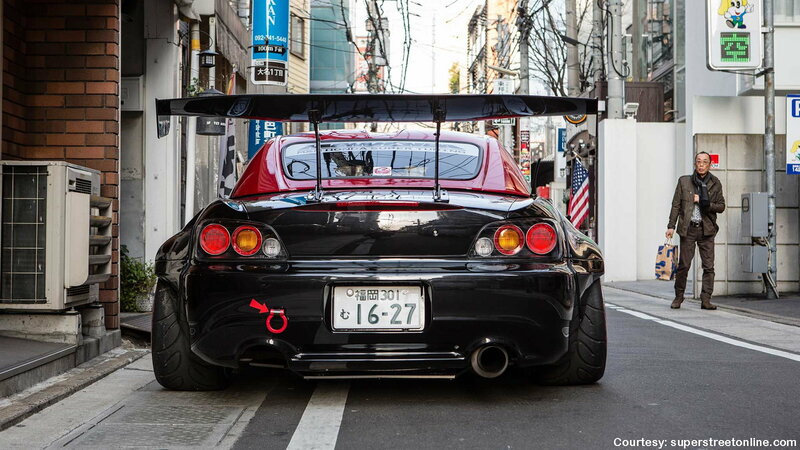 Inspired by Porsches, this widebody is all S2000. Ever get blindsided by life just to have a friend tell you "everything happens for a reason"? Don't you hate that? First of all, what does that even mean? Yeah, there are causes for things, but it's debatable if everything is part of a reasoned-out plan. What they really mean is that every unfortunate event is an opportunity to change something for the better. That sentiment wasn't lost on tuner Yuu Majima of Fukuoka Japan's M&M Honda. 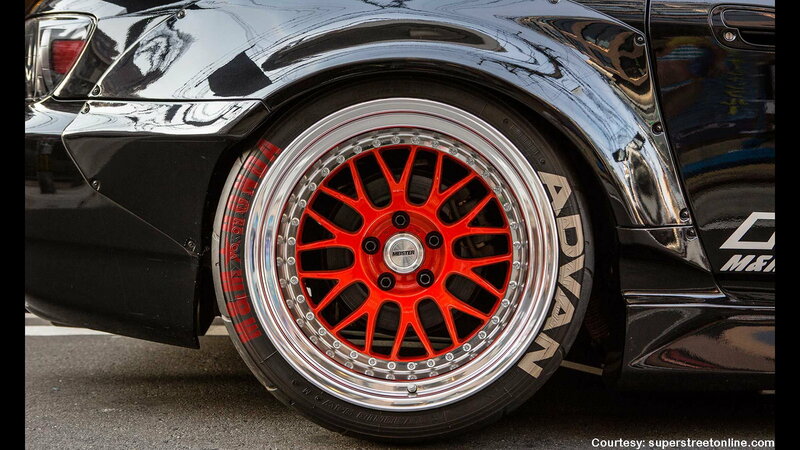 Purchased in 2010, his 2000 AP1 sported a Spoon bumper and TEIN coilovers—which he soon replaced with a Mugen set-up. The proverbial one door closing, a collision that took out most of the rear suspension, opened his doors of perception, and he broke on through to the other side. >>Join the conversation about the M&M Body Kit right here in S2Ki.com. What he broke on through to was, initially, an upgrade to M&M Honda's own custom suspension system—featuring Ohlins Pro coilovers with modified valves. But, as often happens, once a door is open it's hard to close and Majima started to think wide. 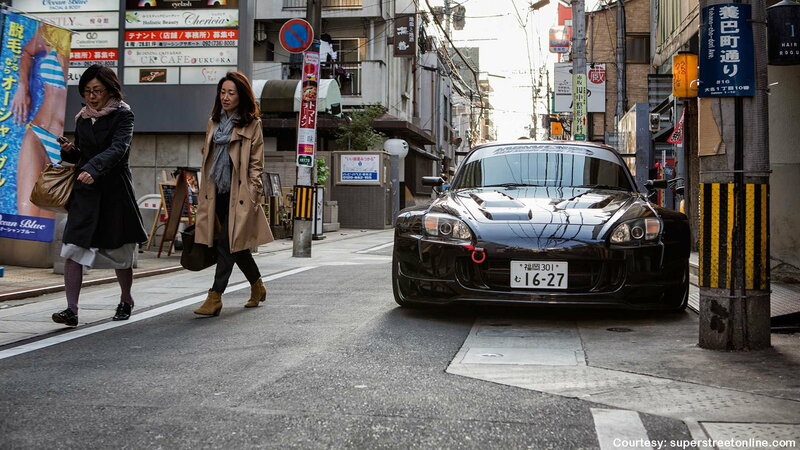 He shifted his focus from the shop's resident EF9 racer to the revived S2000, and went to work. Taking inspiration from the generous curves of numerous rear-engined Porsches, he drew up the wheel arches he wanted and set about filling them. A consultation with Work Wheels led to the decision to fill those flairs with deeply-offset Meister M1 wheels. With red center sections and polished outer lips, they act as bullseyes, drawing your eyes to the bold body lines. The resulting measurements ended up being 80mm wider up front, and 100mm wider out back to cover the 295-series tires those Meister wheels were wearing. Other additions include Majima's flat-bottom aero solution, and M&M's Type Hf wing and Type T carbon fiber hood. Majima was so pleased with the way the kit came out that he decided to put it on the market. The M&M Honda Hyper Widebody kit was born. Before his creation was put on the market, Majima did what all good tuners do and took it to the track for testing. Majima's friend Eiji "Tarzan" Yamada did the honors at Japan's Autopolis Circuit, the S2000 passing with high marks in the grip department. 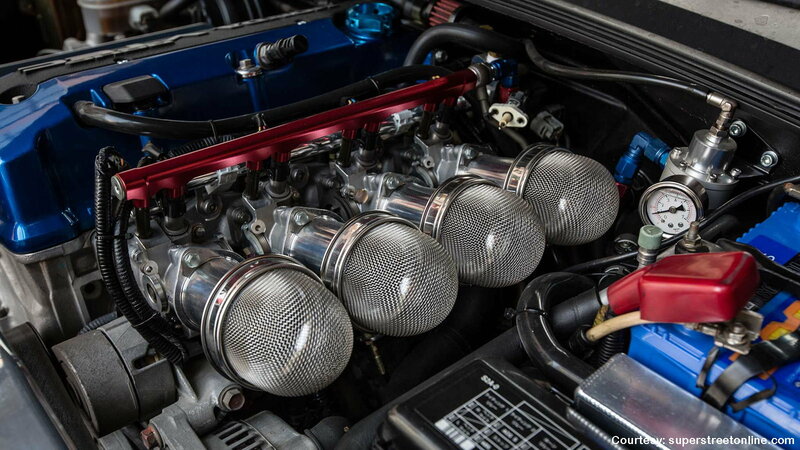 With the kit greenlit for production, M&M readied the black beauty for the show circuit by adding a full high-compression Toda engine with Toda individual throttle bodies, a custom titanium exhaust, and a fiberglass Mugen lid. It's not in the nature of tuners to leave well enough alone, so of course, plans are already drawn up for the next wave of changes. A cage is planned to keep everyone safe and sound, and everything climate control-related is on the chopping block in the fight to cut kilos. After a couple of years on the market, the Hyper Widebody kit now joins the ranks of M&M's other successful offerings. Everything may not happen for a reason, but Majima reasons that if you go wide you'll never look back.